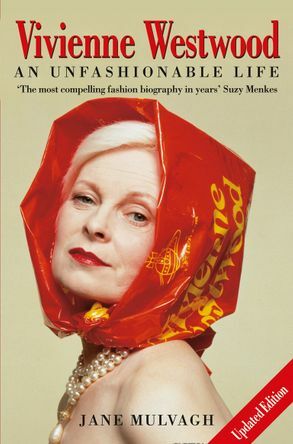 The acclaimed biography of one of England’s great eccentrics and leading fashion designers. • For three decades, Vivienne Westwood has been Britain’s most consistently original, outrageous, eccentric and controversial designer. In that time she has evolved from an iconoclastic outsider to an internationally revered figure, with two British Designer of the Year awards, an OBE, her own successful fashion label and an unrivalled reputation for leading where other designers follow. • Her lifestyle could scarcely be in greater contrast to the opulence which surrounds other leading designers: until recently she lived in a modest council flat in South London, and she still travels around the capital by bicycle, dressed in her own flamboyant creations, with a plastic bag protecting her hair from the elements. How did an awkward girl from a conventional and provincial background become one of world fashion’s most influential and respected designers? How has she managed to remain true to her own idiosyncratic vision, refusing to conform to the fashion industry’s, and society’s, expectations? • Speaking to Westwood herself, her friends, lovers, colleagues, rivals, admirers and detractors, Jane Mulvagh has created a portrait as rich, distinctive and constantly surprising as her subject’s character and work. Jane Mulvagh is a fashion historian, journalist, columnist on the Financial Times, author of The Vogue History of 20th Century Fashion (Viking) and Costume Jewelry in Vogue (Thames and Hudson). She has known Vivienne Westwood for over fifteen years.